On 7 September 1987, 15 phone firms signed an agreement to build mobile networks based on the Global System for Mobile (GSM) Communications. Adoption of the technology shows no signs of slowing down with many developing nations becoming keen users of mobile handsets. Robert Conway, head of the GSM Association, said the memorandum of understanding signed in 1987 is widely seen as the moment when the global mobile industry got under way. Although work on the GSM technical specifications began earlier, the agreement signed in 1987 committed those operators to building networks based upon it. "There's no doubt that at the time of the agreement in 1987 no one had an idea of the explosive capabilities in terms of growth that would happen after the GSM standard was agreed," he said. Since then, he said, the numbers of people using GSM mobiles has always outstripped the predictions. Once the preserve of the well off, mobiles were now "the everyday gadget that's essential to people's lives," he said. In the UK there are now more mobiles than people according to Ofcom statistics which reveal that, at the end of 2006, for every 100 Britons there are 116.6 mobile connections. Figures from the GSM Association show it took 12 years for the first billion mobile connections to be made but only 30 months for the figure to reach two billion. "In the developing world they are becoming absolutely indispensable," said Mr Conway. 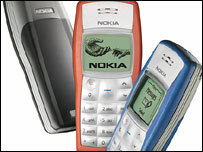 This was because handsets were now cheap and mobile networks much less expensive to set up than the fixed alternatives. But getting mobiles in to the hands of billions of people was just the start, said Mr Conway. "The technology is a gravitational force that brings in to its orbit a huge amount of innovators," he said. In the future, he suggested, high-speed networks would be ubiquitous adding the intelligence of mobiles to anything and everything. "The technology will be in the fabric of your clothing, your shoes, in appliances, in your car," he said. For instance, he said, the ubiquity of mobile technology could revolutionise healthcare and see people wearing monitors that gather and transmit information about vital signs. 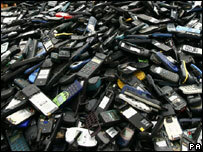 Phones too could change radically in the future. "You'll pull them out of your pocket and they'll look like a map but unfold like a screen," said Mr Conway. "We're now on the verge of another wave and that's going to be stimulated by mobile broadband."